Harrogate is one of the most popular towns in North Yorkshire. Ever since a spring was discovered in the 16th century, people have flocked to the town and it became a popular spa destination. Harrogate is known for its quaint tea rooms so why not relax and enjoy a homemade slice of cake and a cup of tea at Bettys. Opened in 1919, it’s seen a lot of change and is one of the most loved places to go for afternoon tea. With over 300 different types of cake, breads and chocolates, you’ll be spoilt for choice. With over 700 years of history, Ripley Castle has been the seat of the Ingilby baronets for centuries. With a deer park and beautiful gardens, the house is open for guided tours throughout the year. It was a location in the TV series ‘Gunpowder’ and was used in 1605 as a hideout for the real conspirators. If you’re more of an adrenaline junkie, Stainburn Forest trail could be ideal for you. The man-made mountain bike trails are some of the most technical in the UK. There are routes perfect for all abilities and are full of wonderful wildlife including deer, Red Kites and buzzards. If relaxing and taking the waters is more your style, why not take a trip to the Royal Turkish baths. Opened in 1897, you can still see the baths as they were originally intended to be used with the Hot Room Chambers and Plunge Pool or book yourself in for a relaxing massage. As spring arrives and the pleasanter weather moves in, it’s the perfect time for walking. 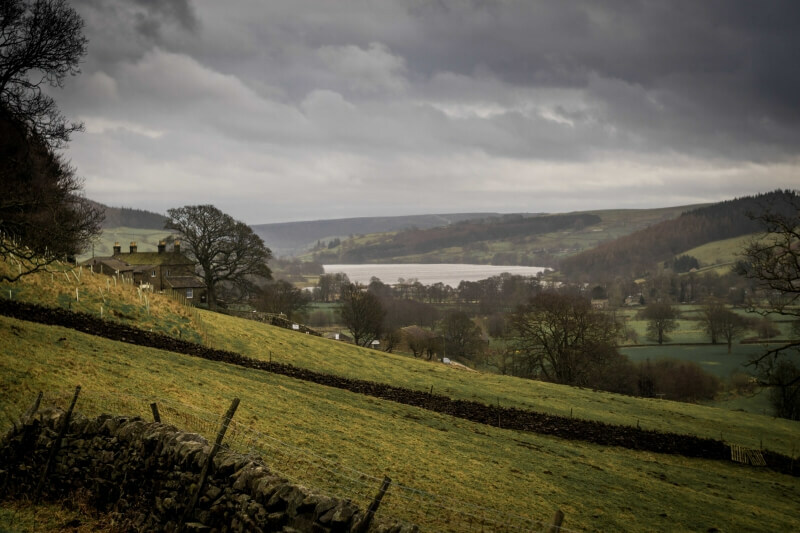 The Nidderdale Way is a 53-mile circular walk that travels through beautiful moorland and dales. From the natural weathered beauty of the Brimham Rocks to quaint stone cottages of Ramsgill; see the best that North Yorkshire has to offer. Built in 1842, the Royal Pump Room was built for the wealthy who came to take the town’s famous waters. It’s now home to the museum of ‘bygone’ Harrogate, telling the story of the spa town’s history as well as recreations of old shops. If your Yorkshire home could do with an enhancement, K Glazing are the choice for you. From windows and doors to conservatories, we have everything you need to improve your home. Get in touch today to find out more.